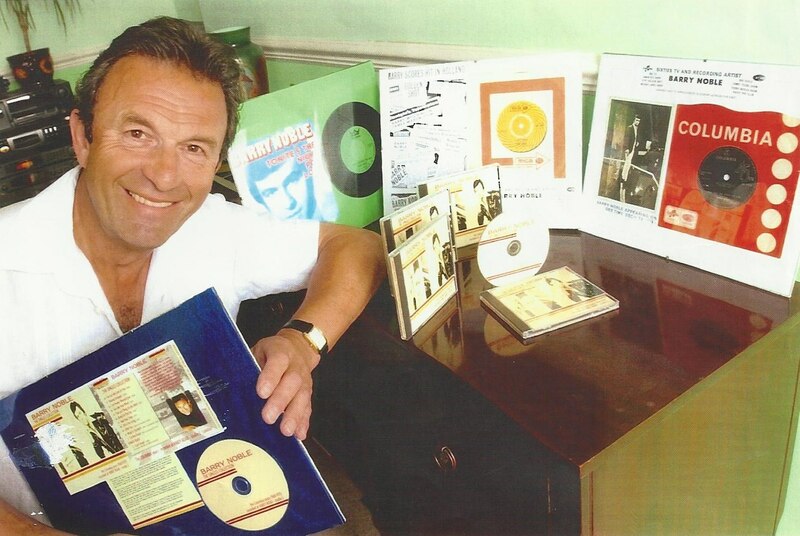 Thanks to music enthusiast A. J. Smith, pop singer Barry Noble has had the chance to listen to a rare recording to the soundtrack to his edition of sixties’ music show Colour Me Pop for the first time in over 40 years. Barry, who had a hit single in 1968 with “I’ve Got My Eyes On You”, appeared on CMP – a spin-off of BBC 2’s Late-Night Line-Up – on August 23, 1968. Wiped News spoke to the artist, who still performs today aged 67, about the experience of hearing the Colour Me Pop show, as well as about his music career. “I really enjoyed listening to it (Colour Me Pop) as I had forgotten what songs I had performed at the time. My voice now is a little lower in range and my speaking voice was quite refined on the audio track. I thought the sound quality was excellent for 42 years ago. “My memories of the day at BBC Television Centre was that is was a groundbreaking show being among the first shows on colour TV and I was very grateful to have the opportunity of having my own 30-min show with my friends Fearns Brass Foundry – a seven-piece line up from Leicester – who also made records for Decca. “They also backed me on BBC radio shows I did from Maida Vale studios and Aolian Hall. “The CMP producer, Steve Turner, was a really nice guy and was a new breed of ‘go ahead’ TV directors. I think he’d heard me doing a broadcast on the Dave Cash show and liked what he heard. “One funny incident I do remember from that day was I was singing a song and the camera noticed my flies were undone. I was wearing red underpants so the camera had to quickly pan to the brass section! “I did two other BBC shows: Dee Time, on August 24, 1968, the day after CMP, and also Michael Aspel’s Ask Aspel. I think all three shows came from BBC TV Centre. “I also did Tony Blackburn’s Time For Blackburn, local ATV show In All Directions, and – in 1970 – I did The Golden Shot from ATV Birmingham. Sadly, except for the recently discovered CMP soundtrack, Barry has no recording of any of his TV and radio appearances. If you can help reunite Barry with any of these recording then please contact Wiped News. Here is an excerpt from the Barry Noble edition of Colour Me Pop. The episode is currently missing from the BBC archive but a recording of the soundtrack was located by A. J. Smith in 2009. 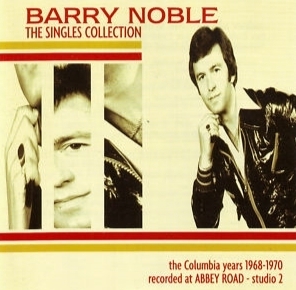 A 12-track best-of CD, BARRY NOBLE – The Singles Collection – The Columbia Years 1968-1970, is available from Barry Noble, priced £10 (inc p&p) within the UK/ £12 (inc p&p) everywhere else. Send a cheque for the amount to: “Barry Noble”, 5, Perry Close, Kettering. Northants, NN15 6GU, UK. Just heard your record on SOTS. Wow! What a memory!! I’m an obsessive collector of rare sixties singles and I immediately found your CD on eBay and instantly bought it. I’m sure you’ve been told this many times but your voice is akin to Scott Walker – indeed, I thought it was Scott singing until Brian Mathew announced it was you. I was a professional broadcaster myself for many years and have owned a couple of radio stations, one of these (Riviera radio) I sold to London’s Capital radio back in 1986. So I know a good song when I hear one and ‘I’ve got my eyes on you’ is a superb song which I had completely forgotten about. What a shame it wasn’t a bigger hit, it certainly deserved to be. Oh well, take heart that many, many great songs were often overlooked by the general public. hi john,thanks for the kind comments on the records i made ,im hoping a tv commercial may use one of my tracks in the near future,this would put me back in the limelight again. My Dad is Jeff Hames and is playing the Bass on this track. He was talking about backing you on CMP today so I googled you. It’s a great track and I think my Dad sounds great. hi lucy,your dad played great bass guitar on ive got my eyes on you. Long time no see & hear mate,how is it going.? Would love to meet up and chat again. You can email me at sixtiessunday@yahoo.co.uk and we can take it from there. hi paul,thanks forall the airtime you gave my records on paul wrights sixties sunday prog on kcbc. hooping to meet up again soon. My dad has been looking for your version of ‘I’ve Got My Eyes On You’ for some years, having once owned the single (it was sadly lost in a house move). Is The Singles Collection still available to purchase in 2013, as it seems the only source mentioned online where you can obtain this song? Hi. Are you the same Barry Noble that had a few shows at the Goodwood Park Hotel in Singapore many years ago.